Purpose of this report: State progress, report completed sections, report next steps. Remaining power washing: To be completed on our second trip. NOTE: Starting and completion dates are weather dependent. 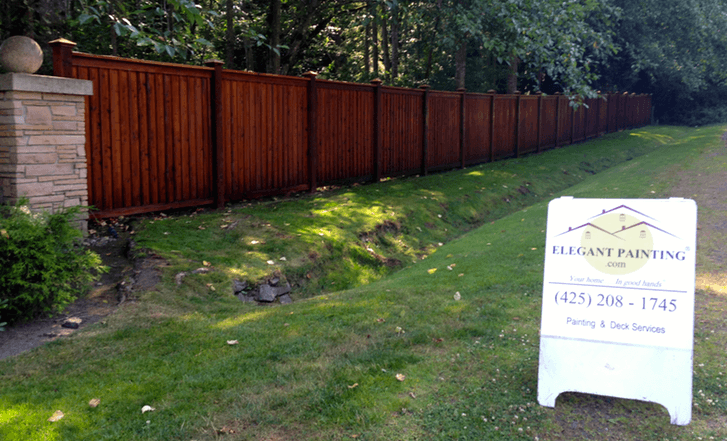 Once your project begins, our crew will work consecutive business days. Normal business hours: 8AM-4PM Mon-Fri, and 7AM-3PM Mon-Fri on high temperature days. We may work weekends to make up any missed week days due to rain. 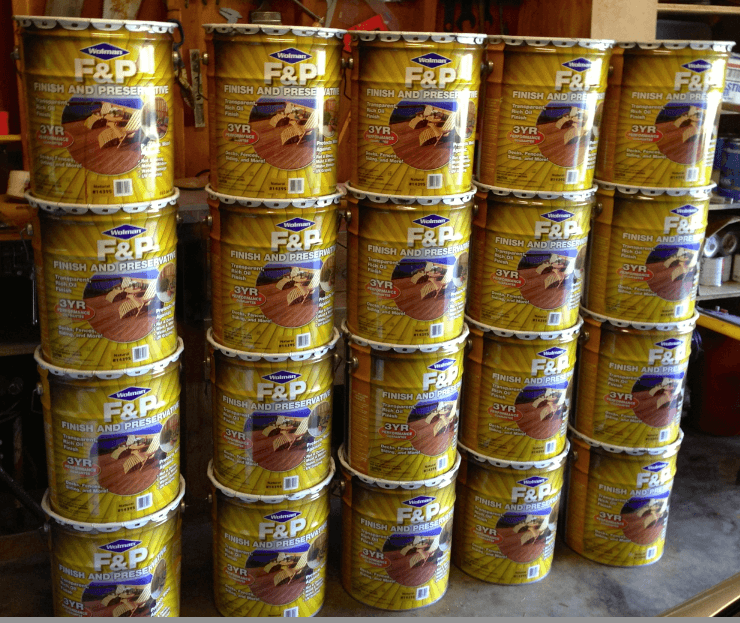 Application: Stain will be sprayed 2 coats, wet-on-wet, and back brushed to make sure there are no stain runs. 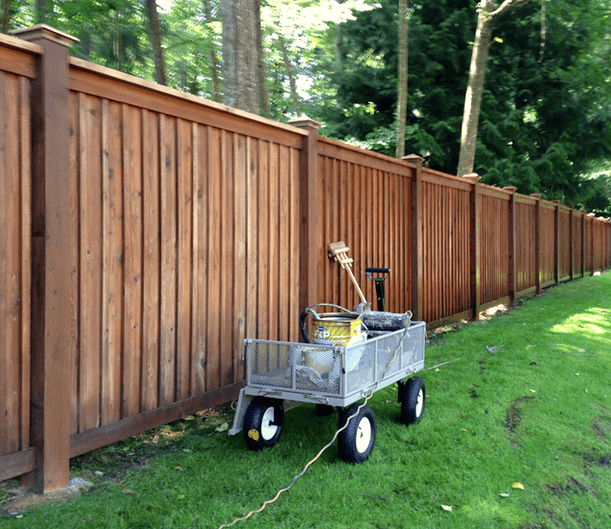 The entire fence was power washed to remove any mold, mildew, spider webs, etc. Special Attention was paid to the top board. A handy pressure washer gun attachments that lowers labor costs by pointing the pressure where it is needed, without the use of ladders. 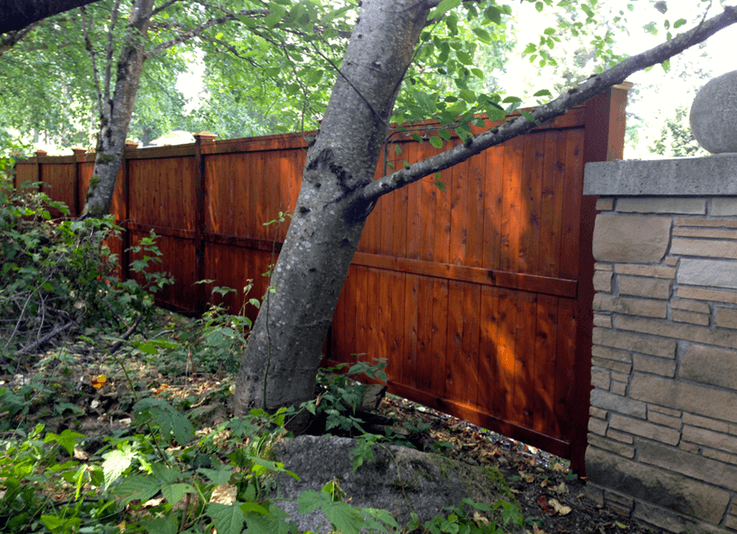 We stained 2 section of the fence following exact methods that will be used on the entire project. 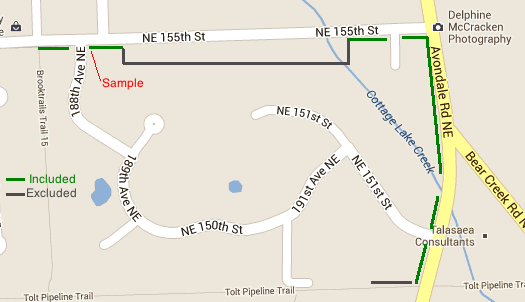 See the samples on the corner of NE 155th ST and 188th AVE NE. 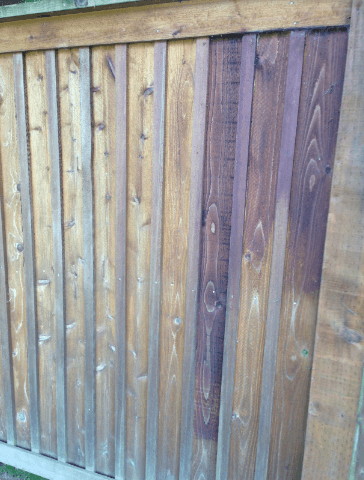 We found that this fence was previously stained with 2 different colors! This photo shows where the 2 colors meet. Our stain will improve this flaw, but we do not expect it to disappear completely. 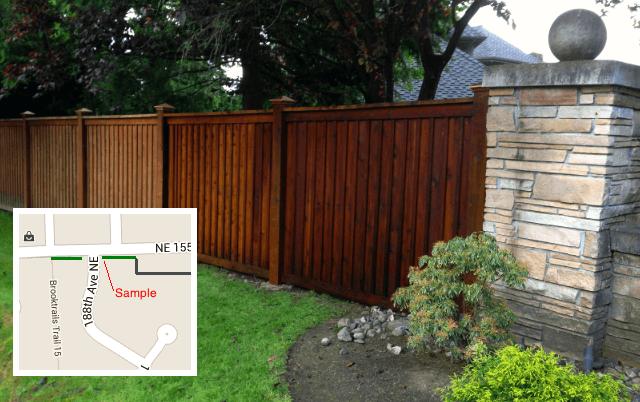 4 sections by 188th entrance have been previously finished with noticeably different stain. 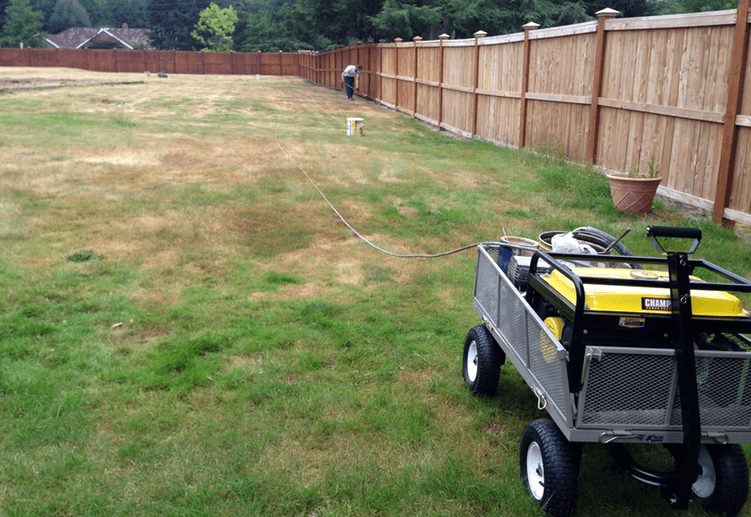 Using airless sprayers, we soak all surfaces, and back-brush to pick up runs. Our back brushing guy back-tracks every 30 minutes and inspects his work a second time and pick up any additional runs. Our goal is to apply liberal amounts of stain, yet ensure zero stain runs. 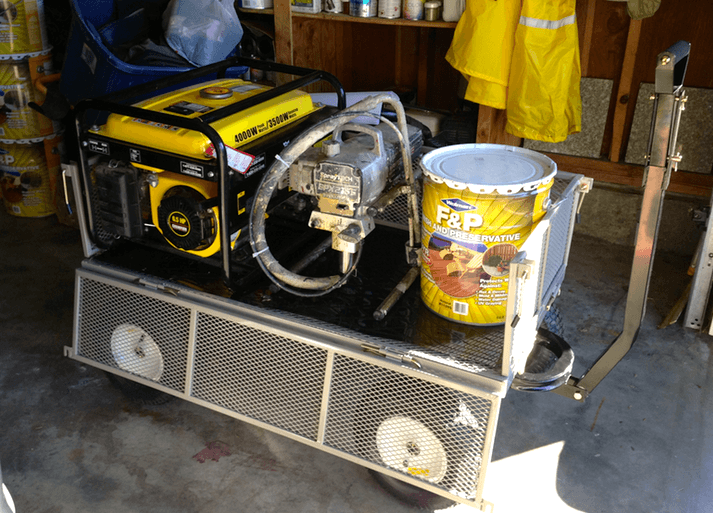 Our self-powered, super handy stain mobile; carries a generator, an airless sprayer, and 10 gallons of stain. 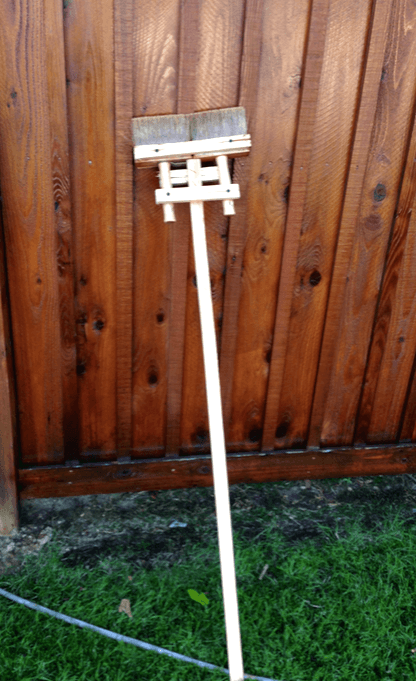 We back-brush everything that is sprayed to ensure proper adhesion and even spread of material. 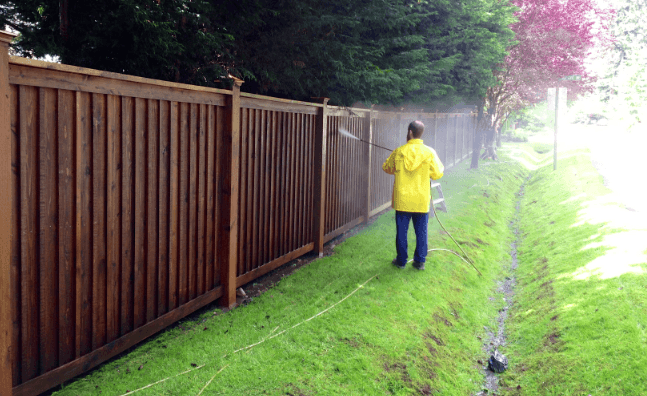 Although staining is completed, we will be inspecting the entire fence every day until it is dry, before calling it done. 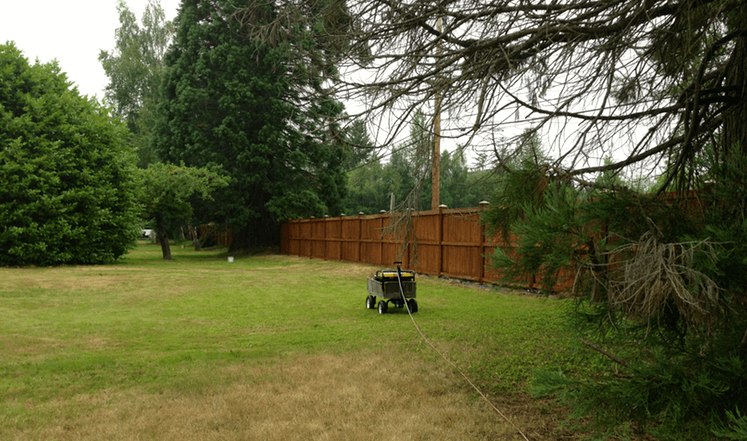 Posted in Painting Progress Report and tagged brookside country club, elegant painting, sammamish painters, woodinvile decks, woodinville elegant painting, woodinville painters.